Need a place to escape the heat? Temperatures in our beautiful county are expected to reach well into triple digits this weekend, which might be not only uncomfortable but downright dangerous for some people. 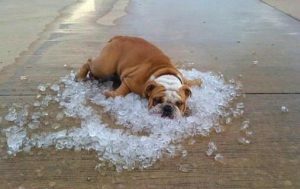 Don’t know how to beat the heat? The good people at San Bernardino County 211 have compiled a list of more than 70 places throughout the county that are cool when the weather is hot. Click here to find the one closest to you. You can also call 211 to find the nearest Extreme Heat Cooling Center or help dealing with any food, shelter, healthcare or social services needs. But if you need immediate medical attention, call 911. San Bernardino County’s fleet of more than 2,000 public service vehicles have been chosen as one of the nation’s most environmentally friendly government fleets in the nation. 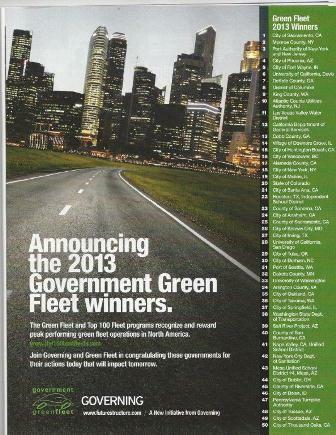 Among thousands of federal, state, county, city, school district, and other public agency fleets from Hawaii to Maine, San Bernardino County’s fleet ranked 40th in the Government Green Fleet Award program, it was announced this week. Other notable entries included the New York City Department of Sanitation, ranked at 42nd, the County of Riverside, ranked at 45th, and the City of Thousand Oaks, ranked at 50th. Criteria for the awards included use of renewable and alternative sources of energy. It compared the total use of conventional versus renewable fuels such as BioDiesel & Ethanol, and non-renewable fuels such as propane and compressed natural gas. The program also considered green fleet sustainability, examining whether agencies will continue to budget and purchase green technologies. So when you look up at our beautiful local mountains and can actually see them, you can give some of the thanks to the San Bernardino County Fleet Management Department.